The app ecosystem for both iOS and Android has seen a massive explosion of apps from developers all around the world. Both Apple and Google have been trying ot make it easier for developers to get onboard with their respective platforms, with Apple having gone so far as to establish an app accelerator in Bengaluru, India. It is very easy to have your app get lost in the app store, but one Indian developer trio has managed to create something that stands out. 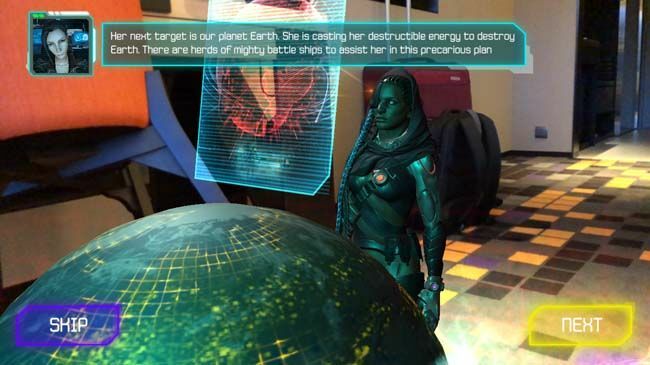 The trio in question goes by the name Tresreis Games and their game is called SpacewAR Uprising. 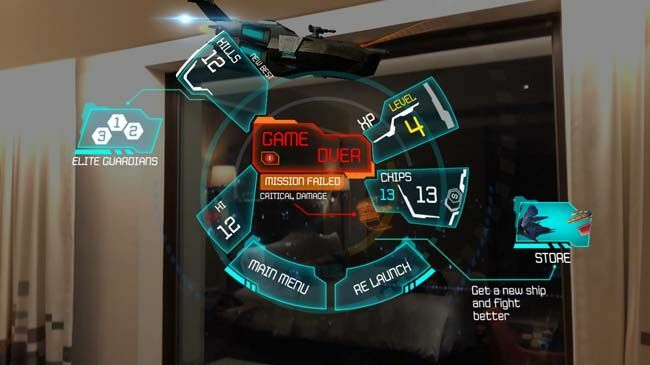 The game is a Surround AR game, the first in the world and it’s the brainchild of three friends based out of Cochin. The company was founded by three friends; Bony Raju, Mathews Babu and Akhil P.M. All three come from different backgrounds but shared a common love for creating games. The other common thread between the three was to create a game that was not the usual shooter. They wanted to make something that stood out. They figured a story-drive, space-based shooter would be a good starting point. 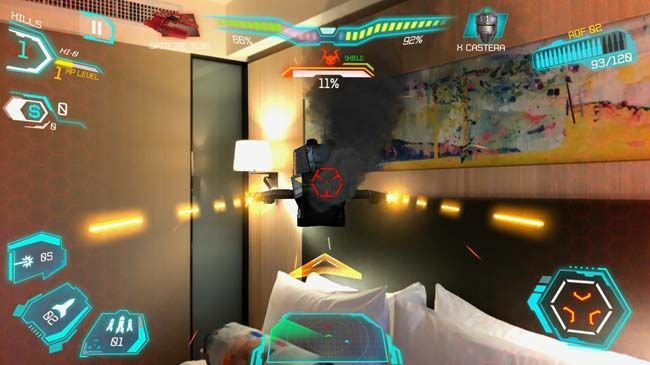 In conversation with Bony Raju, Chief Operating Officer, Tresreis Games, he shared that since Apple announced ARKit, he felt that it would be a good technology to base their new game on. He emphasised that story had to be central to their game. 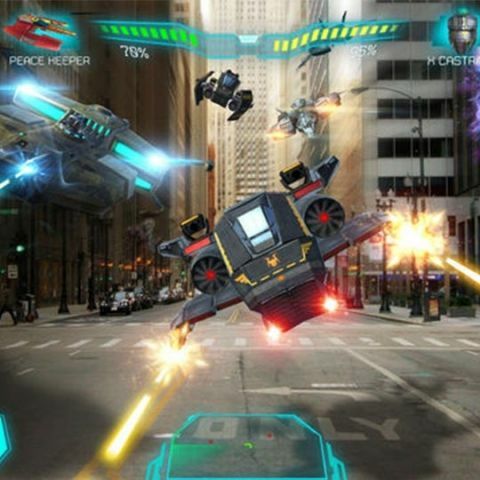 When asked what the most challenging part of the development process was, he said that it had to be getting the AR experience right, as that was the main experiential component of the game. He said that he and his team got lots of help from Apple’s App Accelerator which helped them work through the issues they faced during development. Bony Raju said that they didn’t want to create a run-of-the-mill game with no story. The narrative we play with is that there is an evil alien by the name of Clomatandria who is moving from galaxy to galaxy, destroying and subjugating all that stands in her path. When she arrives at Earth, the planet deploys a protective shield which she cannot get through. So instead, she sends her army to take out X-Castera, the defensive shield protecting Earth. So your job is to defend the shield generator. When you start the game, you’re greeted by a companion who briefs you on the mission. You can watch the briefing in AR as well, walking around the AR model to give a more immersive experience. Post-briefing, you begin the mission by scanning a textured surface to place the X-Castera. Once placed, portals will keep opening around you, from which alien ships will emerge. Your goal would be to take them out using your standard arsenal of lasers and missiles. You have limited missiles, but unlimited laser shots that fire like bullets, however, they do require time to reload the magazine. Currently, the game is set to unleash 50 enemy ships on you, but given that you start with 100 health points that are shared between your ship and the X-Castera, good luck getting to that number. Bony told us over a phone call that they plan to introduce a major boss fight at the end of the 50 gun-ship battle, so its something to look forward to. The fight sequences are actually a lot of fun. You have to keep an eye on the radar to see where an enemy portal is opening up and then turn around to fight them. It’s a fast-paced game for sure but has a few caveats. Due to the incredibly immersive AR experience, you need to play the game in a fairly open area. A small cluttered room won’t allow you to get the best experience. Overall, the game is actually a lot of fun, but it is weird that when all of the Earth is under attack, a single ship is what goes up to defend the whole planet. Over the phone call with Bony, we suggested maybe adding a multi-player element to the game, but for now, the game is extremely engaging even in single player mode, but very difficult to get through without help. SpacewAR Uprising for iOS is available on the App Store for Rs 159. Bony shared with us that since the game is not a free game, they haven’t seen as many conversions as free games enjoy. He did, however, say that they have noticed the game is most popular in America and South Korea. The price of the game isn’t all too high, especially for a game that is first of its kind and is developed by India’s own talented young developers. It is only when we purchase the software or apps made by hard working individuals that they have the incentive to continue making newer and better products for us. Go show TresReis Games some love and download their game.